Join the Discussion on the Skylander Club Forum! Skylanders SuperChargers Eon's Elite Reveal and Info: Castaway Comeback! SANTA MONICA, Calif. - July 7, 2015 - Activision Publishing, Inc., a wholly owned subsidiary of Activision Blizzard, Inc. (NASDAQ: ATVI), is supercharging Comic-Con International: San Diego 2015 with Skylanders, the world's leading Toys-to-Life and now Vehicles-to-Life videogame franchise. Activision will reveal the new Skylanders® SuperChargers Dark Edition at the convention where attendees will be among the first consumers in the world to play the game with dark versions of the Starter Pack characters, including Dark Turbo Charge Donkey Kong and his Dark Barrel Blaster land vehicle; Dark Hammer Slam Bowser and his Dark Clown Cruiser sky vehicle; and Skylanders fan-favorite Stealth Elf in a new Dark version. As an extra bonus, fans can pre-order the Skylanders SuperChargers Dark Edition Starter Pack at the Skylanders booth #121 and Xbox Lounge in the Manchester Grand Hyatt. North American fans who can't make it to the convention can pre-order online beginning today at major retailers while supplies last. Skylanders Comic-Con offerings also include a first-look at the highly collectible figures from the all-new Eon's Elite lineup, as well as the popular franchise-inspired comic book series, Mad Libs and costumes. The Skylanders SuperChargers Dark Edition includes unique toys that true Portal Masters will want in their collections. All Dark Edition Starter Packs will be available for a suggested retail price of $99.99 and include Dark Spitfire, Dark Hot Streak, a two-sided ultimate collector poster and the highly sought-after Kaos Trophy, which is the only way to unlock special Kaos gameplay content. Dark Super Shot Stealth Elf and Dark Sea Shadow will be available exclusively in the Dark Edition Starter Packs for Xbox One, Xbox 360, PlayStation® 3 and PlayStation® 4. The Wii U™ Dark Edition Starter Pack will include Dark Turbo Charge Donkey Kong and Dark Barrel Blaster, exclusively. A different, unique adventure including Dark Hammer Slam Bowser and Dark Clown Cruiser will be made available on Nintendo's Wii™ system. "This year Skylanders, the original toys-to-life franchise, gets a boost of high-octane gameplay and innovation by bringing toy vehicles to life for kids with Skylanders SuperChargers," said John Coyne, senior vice president of consumer marketing, Activision Publishing, Inc. "We look forward to fans checking out our Dark Edition and Eon's Elite offerings for the first time at San Diego Comic-Con." Eon's Elite is a premium toy line offering fans the ultimate versions of some of the most iconic heroes from the game that started it all, Skylanders Spyro's Adventure®. Each hero is powered up to three times the normal level and updated with premium decorations, new poses and unique sculpts that represent how they appear in their fully upgraded form. The figures are presented in premium packaging featuring a display case with a 3-D lenticular background, making them truly collectible items. This year's fan-favorite roster includes Voodood, Zook, Slam Bam, Ghost Roaster, Boomer and Dino-Rang and will be available for a suggested retail price of $19.99. The first wave of Eon's Elite characters -- Slam Bam, Zook and Voodood -- are Toys"R"Us exclusives and will be available starting November. The second wave of heroes, Ghost Roaster, Boomer and Dino-Rang, will be available in December. Skylanders SuperChargers Dark Edition; check out all-new Eon's Elite collectible figures; take photos inside a life-sized Hot Streak vehicle or with Kaos and Spitfire statues; say hello to life-sized costumed characters Eruptor, Gill Grunt and Jet Vac; and collect giveaways all weekend long while supplies last --- including Skylanders buttons and event-exclusive Hot Streak vehicle toys each morning starting at 10 a.m. PT. Skylanders Comic Book, IDW Publishing (Booth #2743): Leading comic book publisher IDW will have copies of the Skylanders comic books series available for purchase. Attendees also will learn more about Rift into Overdrive, IDW's latest Skylanders offering and prequel to Skylanders SuperChargers- available for preorder now online. Fico Ossio, the comic book's lead artist, will be onsite for signings on Thursday from 10 - 11 a.m., and on Sunday from 11 a.m. - 12 p.m. PT. Mad Libs (Booth #1032): Attendees can purchase the popular Skylanders Universe™ Mad Libs. Fans receive a free tote bag with a purchase of three Mad Libs! Nintendo Game Lounge (Marriott Marquis and Marina): Convention goers can get hands-on with Skylanders SuperChargers and collect limited edition Skylanders-themed air fresheners while supplies last. Hours: Thursday - Saturday, 10 a.m. - 7 p.m.; Sunday, 10 a.m. - 5 p.m.
Penguin (Booth #1514): Fans can purchase Penguin's Skylanders Universe™series of books. Rubie's Costumes (Booth #3649): Skylanders fans can purchase costumes at Rubie's booth. 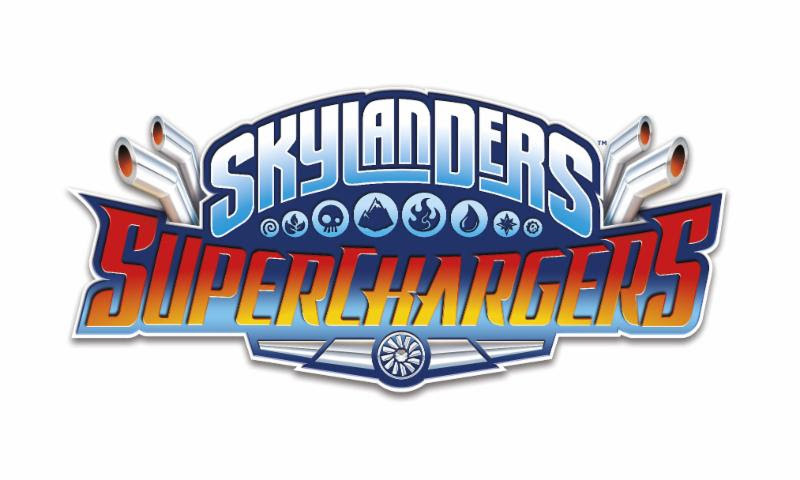 Xbox Lounge (Manchester Grand Hyatt): SDCC badge-holders can get hands-on with Skylanders SuperChargers, pre-order the game, enter to win a custom Skylanders SuperChargers Xbox One console on July 9, and collect special Skylanders posters while supplies last. Follow us on Instagram @SkylanderstheGame for contest details. The Xbox Lounge hours: Thursday - Saturday, 11 a.m. - 8 p.m.; Sunday, 10 a.m. - 5 p.m.
Skylanders SuperChargers expands upon the franchise's signature gameplay to introduce a brand-new play pattern to fans, vehicles-to-life. For the first time ever, kids can explore and navigate the mountainous terrains, deep sea environments and big blue skies of Skylands like never before by going behind the wheel of powerful, tricked-out land, sea and sky vehicles - bringing them from physical world into the digital world in a high octane action-adventure videogame. The game offers a diverse and dynamic, story-driven gameplay experience, filled with vehicle-based and on-foot adventures featuring combat, puzzles, mini games, activities and platforming -- all set within a variety of new compelling environments. Skylanders SuperChargers has 20 land, sea and sky vehicles that are fun to play in the game and in the real world. There is also a new class of heroes -- 20 SuperCharger characters that feature all-new powerful attacks and moves, upgrades and personalities. Skylanders SuperChargers will be available on September 20 in North America for a suggested retail price of $74.99. The award-winning, $3 billion Skylanders franchise has sold through more than 250 million action figures(1) since pioneering the toys-to-life category in 2011 with the debut of Skylanders® Spyro's Adventure. The game originated a play pattern that seamlessly bridged physical and virtual worlds across multiple platforms. In 2012, Skylanders® Giants further evolved the genre and added LightCore® characters to the collection of interaction figures. Skylanders® SWAP Force™, which launched in 2013, introduced an all new play pattern - swapability. In 2014, Skylanders® Trap Team reversed the magic of bringing toys to life by allowing players to pull characters out of the digital world into the physical world and became the number 1 kids' console game globally(1).